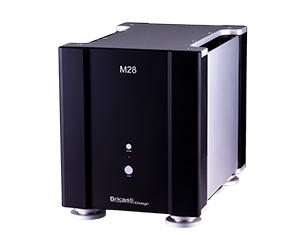 The Bricasti M28 monoblock amplifier is an exceptionally pure and precisely controlled reservoir of current. The expression of craft wrought in this deep pool effortlessly provides the massive current required to grab onto and control any speaker through the most demanding of musical passages. The sought after listening experience that is so elusive is immediately evident. Ruler flat response and vanishing distortion of course. 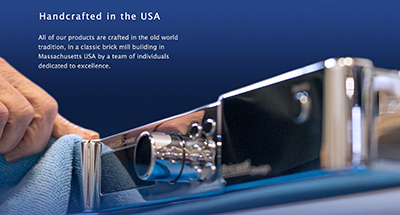 Fast, articulate, distortion free low frequency performance, even at the speakers resonant peak, perhaps unanticipated. A balanced differential structure minimizes the stress across each of the M28 amplifier's internal elements. Pairing the M28 with the balanced structure of the Bricasti M1 digital to analog converter forms a balanced differential signal flow from source to speaker. 200w/ 400w /800w balanced power amplifier with Stillpoints embedded in the feet. 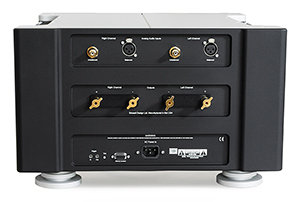 The M25 stereo amplifier finds a special place in the Bricasti family of amplifiers through its implementation of a dual mono transformer design, essentially creating a hybrid of the traditional single transformer M15 stereo amplifier and its larger M28 mono-block brethren. The M25 is rated at 150 W / 300 W / 600 W per channel into 8ohms, 4ohms and 2ohm loads respectively. The M25 integrates seamlessly with superb current delivery in a smaller footprint for those desiring additional power but lack the needed space for hefty amplifier pairs. Like the entire line of Bricasti amplifiers, the M25’s fully differential balanced design delivers a fast, low distortion, open and harmonically accurate musical experience. 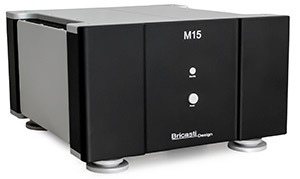 The new Bricasti M15 stereo amplifier is the beating heart of any system and in particular, a Bricasti Design system. Like its bigger mono-block brother the M28, the M15 delivers heaps of power at critical stages, forging a sonic path of least resistance all the way from source to the speaker. This can be heard and felt and is in part thanks to its fully differential / balanced architecture. 125w/ 400w /500w balanced power amplifier with Stillpoints embedded in the feet.